Without being a trained dermatologist, it can be hard to separate fact from fiction when it comes to skin care and makeup. With so many different sources online, in magazines, and from our friends, all supplying us with different information, it’s important to take a look at some of the most common myths to find out the truth. 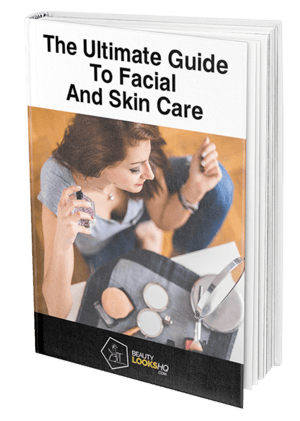 For many years people believed that all you had to do was lather up in the shower and wash your face﻿﻿ with a bar of soap just to get it cleaned, but this can actually be quite damaging. When we wash with soap it throws our pH balance all off, and our face makes up for this by creating more oil. This, in turn, gives you acne and pimples, as well as drying your face out completely. Even those with a love of beauty products think it’s okay to skip the t﻿﻿oner provided they’re cleansing their face. However, this crucial part of the beauty routine gives a deep clean of your pores, reduces their size, and restores the balance loss after cleansing to prevent pimples and oil production. Although you might think it’s helpful, you’re doing a lot of damage to your skin if you exfoliate it every day. The skin on our face is particularly sensitive and when you exfoliate every day you’re leaving it open to more damage from the sun and other external stressors. Instead, aim for using a quality facial scrub just twice a week for better results. This common myth is one thrown around quite a lot and leads many people to believe they need to buy the highest SPF rated sunscreen or moisturizer possible. Because there is more than one type of UV rays, SPF only targets some of them. This means you should look for comprehensive coverage offered in a product and not just the SPF rating, but a minimum of SPF 15 is ideal. Something that most of us have probably fallen prey to and one of the most common beauty myths of all time; if you get a new product and don’t see the change immediately then it’s usually a scam. This couldn’t be more false, though, as any good beauty product will take time to have its true effect. Unless of course, you’re considering makeup which should be instant, but for things like antioxidant creams and moisturizers you can expect at least a month’s wait before you can see results.